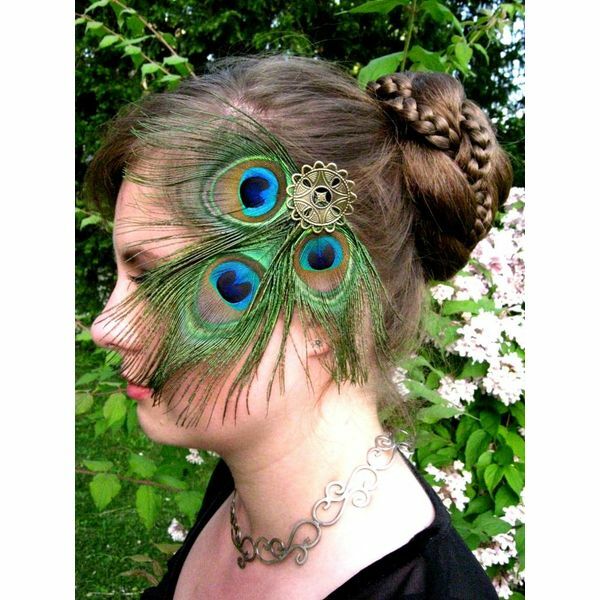 Peacock feather hair clips and fascinators with curly and with straight feathers! 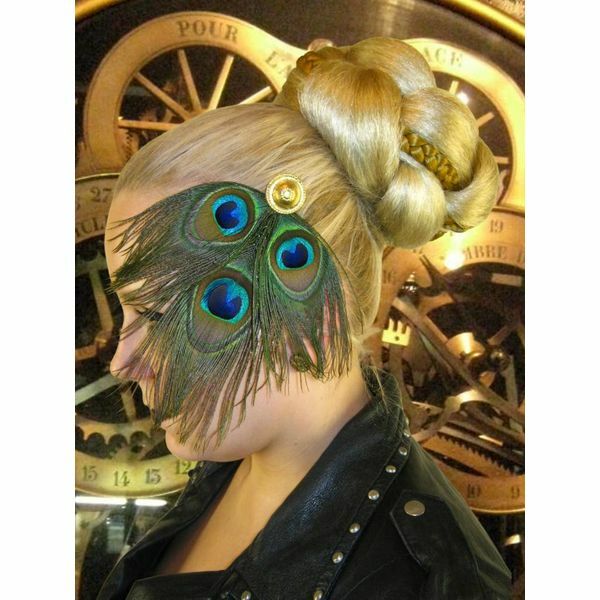 Use them as hair jewelry and shoe clips with their flexible clip attachment! 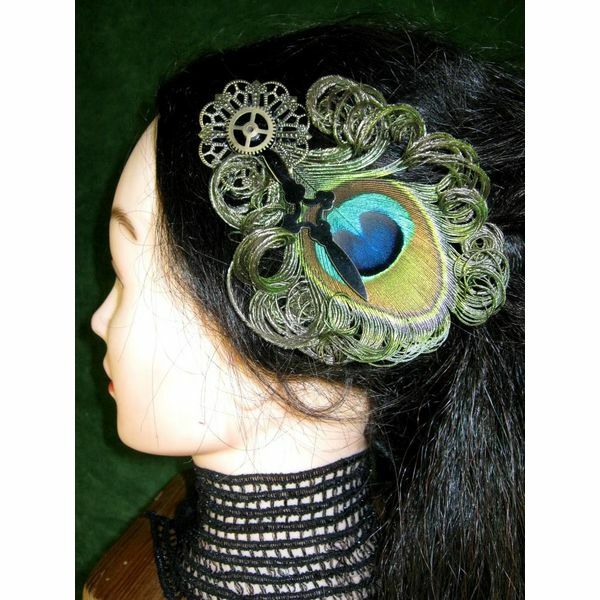 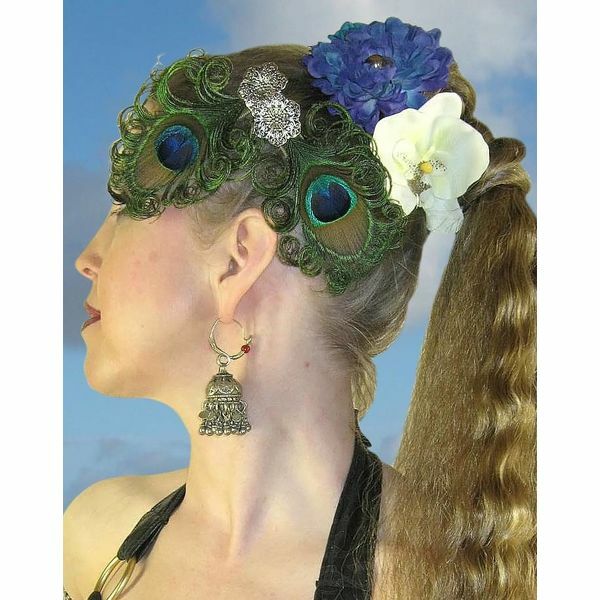 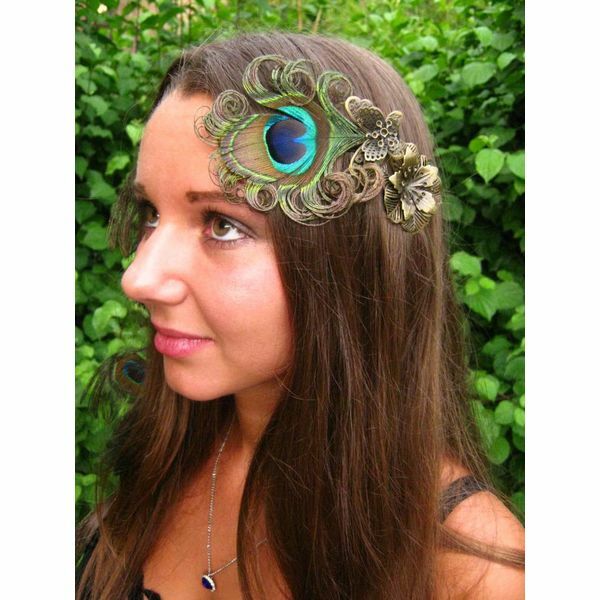 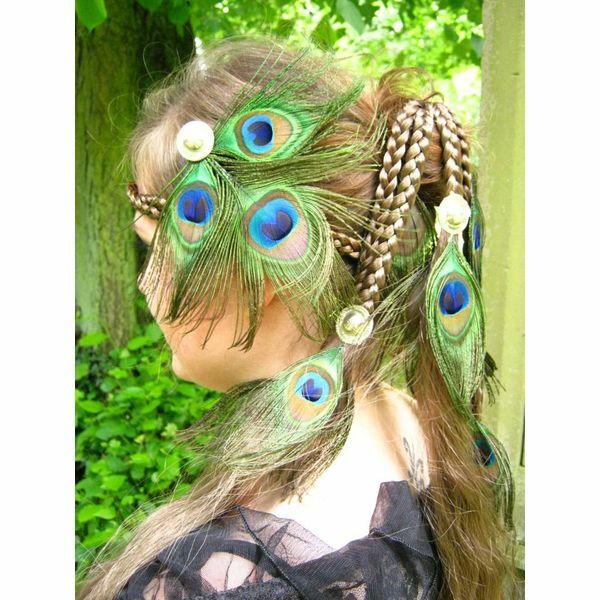 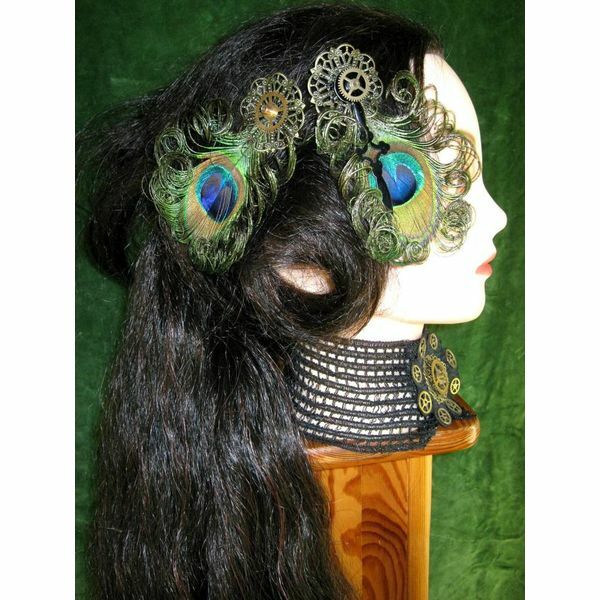 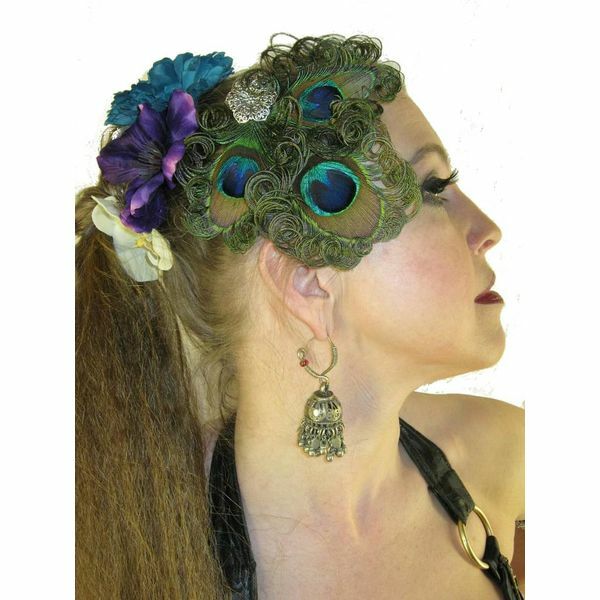 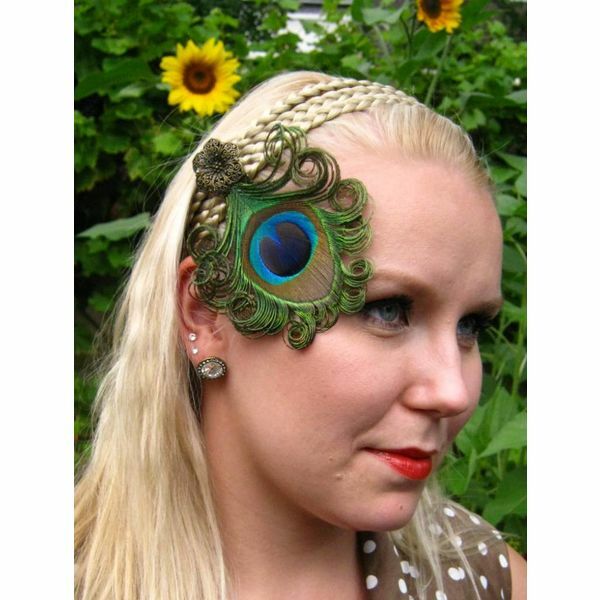 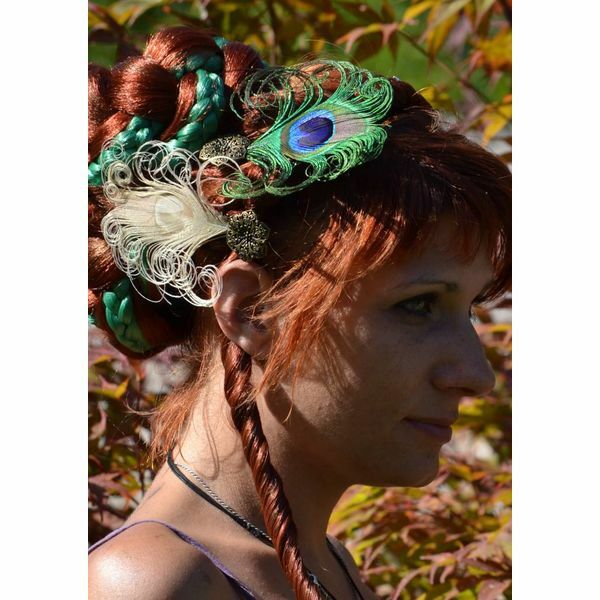 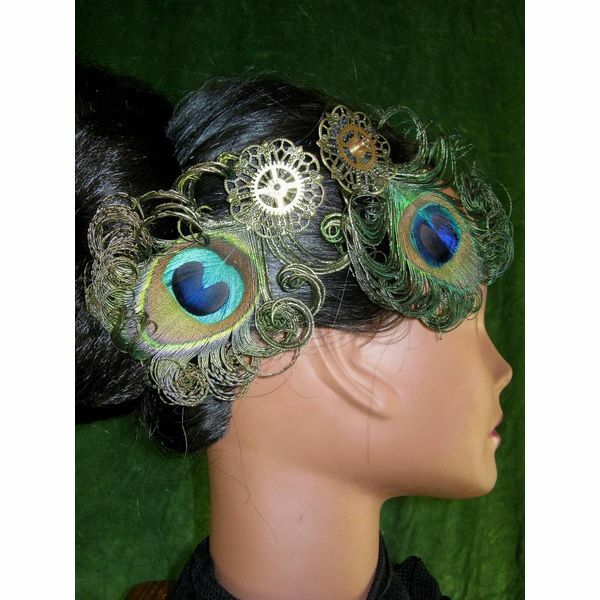 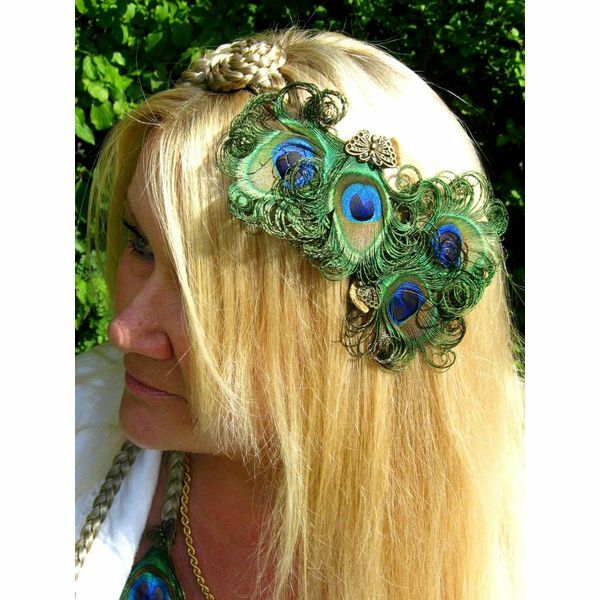 Peacock feather hair clips and fascinators by Magic Tribal Hair have a professional clip attachment. 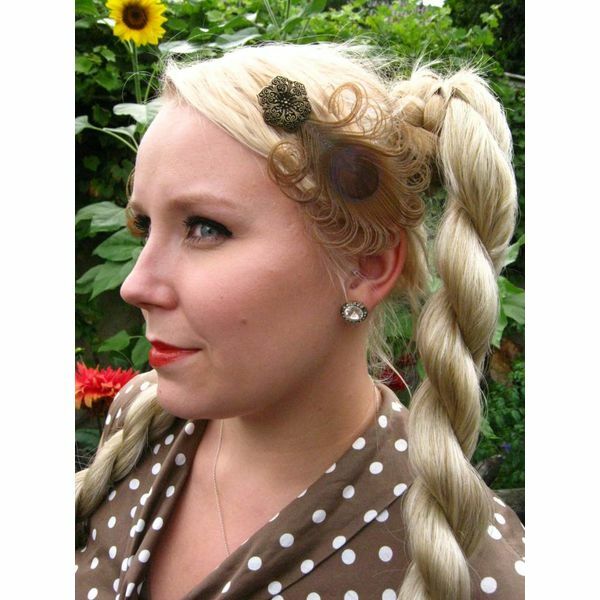 Use them as hair jewelry, brooches and even as shoe clips. 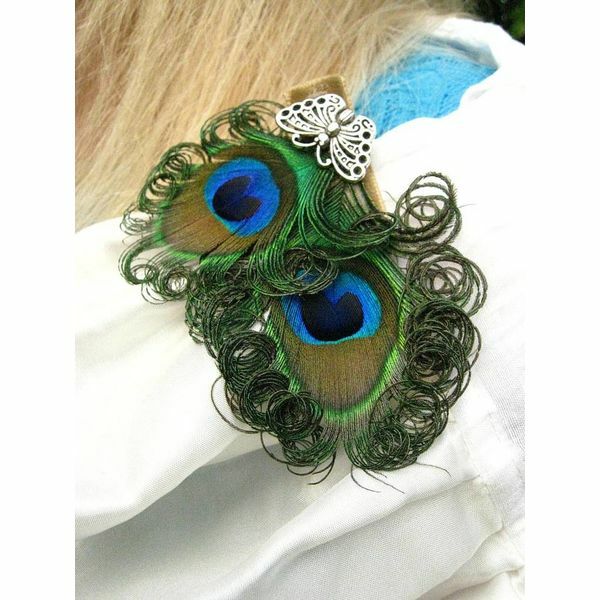 Put them on the edges of clothes, shoulder straps, ties etc. 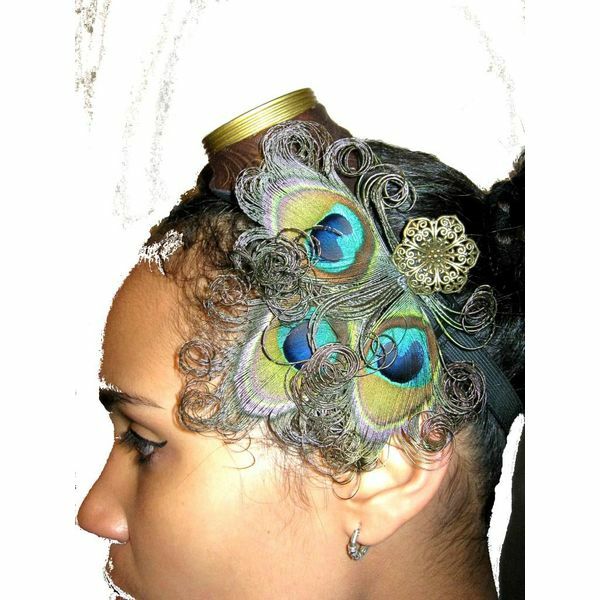 The clips don't have any teeth, which means they don't damage any fabrics and don't break your hair or tangle in your hair. 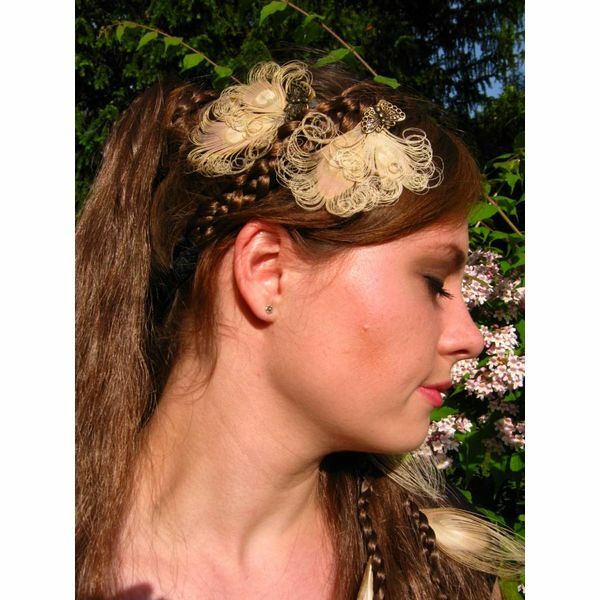 Still they provide very strong hold due to a strong spring in their closing mechanism.